Funding will support the Legacy Youth Workforce Development Program. Natchitoches, Louisiana – Ben D. Johnson Educational Center has been awarded $1,000 in funds from the City of Natchitoches along with a personal donation from Mayor Posey. The funds given to the Ben D. Johnson Educational Center will be used towards the Legacy Youth Workforce Development Program. Starting in March, the workforce program will serve young people ages 16-24 who are out of work and out of school. The program will provide students life and job skills training with support services as a component of the greater BDJ Center. Students will participate in hands-on learning at the newly opened Legacy Café (400 MLK Drive, Suite J) where they will gain the skills needed to enter and remain in the workforce. 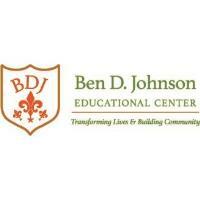 The Ben Johnson Educational Center is a 501(c)3 nonprofit organization located in Natchitoches, Louisiana and founded in honor of the late Ben D. Johnson whose holdings represented one of the largest minority-owned enterprises in the state. More importantly though was Mr. Johnson’s legacy of a lifelong commitment to community. The Ben Johnson Educational Center will utilize a social enterprise structure to serve the community with a Youth Workforce Development Program, Legacy Café, Teaching Farm & Green Market and a Shared Community Kitchen/Business Incubator. The mission of Ben D. Johnson Educational Center is to build community in Natchitoches and give access to social and economic success for all of its residents. Founded by Claire Prymus in honor of her late uncle, the Ben D. Johnson Educational Center is a 501(c)3 nonprofit organization located at 400 MLK Drive in Natchitoches, LA. The center has a commitment to building community and providing access and opportunities for residents in Natchitoches, Louisiana.